Whenever I run across something that has helped lessen a person’s RLS symptoms, whether it be a personal story or through a study, I know with 100% certainty that if I do a search on whatever it is they took to lessen their symptoms, that healing ingredient will have proven anti-inflammatory properties. Such is the case with D-Ribose. “D-Ribose is a naturally occurring five-carbon monosaccharide that is found in all living cells, and has anti-inflammatory effects in renal ischemia/reperfusion injury” (Ueki et al. 2013). I ran across a RLS study that was done in 2008 that showed great promise in a father and son with Restless Legs that were both given D-ribose. I am going to post the results of the study followed by some basic information about what D-ribose is. I realize in the great theater of science that this study doesn’t prove anything. However, to someone still suffering from RLS that is trying to find the slightest glimmer of hope, this is yet more evidence shining its light on the DIRECT LINK between RLS and INFLAMMATION. STUDY: “D-ribose benefits restless legs syndrome.” (Shecterle et al. 2008). We report on two affected male individuals, a father and son, ages 71 and 47, from a family in which three generations carry the diagnosis. To evaluate any potential benefit of D-ribose in this condition, each individual orally consumed 5-g doses of D-ribose daily at different trial stages. Each stage lasted 3 weeks with a 2-week washout period between stages. The initial stage involved a single 5 gm dose of D-ribose consumed at breakfast. Throughout the second stage, D-ribose was taken at breakfast and lunch. In the third stage, D-ribose was taken at all meals, breakfast, lunch, and dinner. Diaries by the subjects pertaining to their documentation and severity of restless legs syndrome symptoms was compiled. 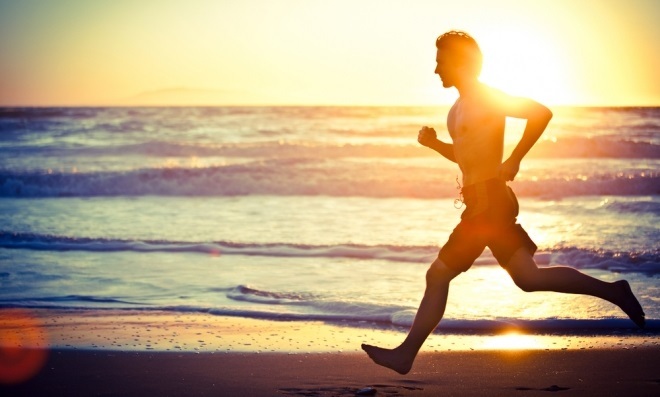 During the initial stage both men reported a general feeling of more energy and less fatigue, most notably after exercise, without any significant changes in their symptoms. With the increase in the daily dose of D-ribose, in the second stage, their leg twitching and the feeling to move during the day was reduced for 1 subject, and rarely present in the other. Both still experienced the unpleasant sensations during the night. However, during the final stage, a further increase in the daily dose of D-ribose eliminated their daily symptoms and the symptoms at night were of a lesser degree and had a later occurrence. Both men reported that D-ribose did not totally eliminate their discomfort, but the severity and onset of symptoms affecting their quality of life was substantially improved with D-ribose without any adverse reactions. In looking at energy production, it helps to look at the “energy molecules” such as ATP, NADH, and FADH. These represent the energy currency in your body, and are like the paper that money is printed on. You can have all the fuel you want, but if it cannot be converted to these molecules, it is useless! This was like one of those “Eureka!” moments where things came together. Not having Ribose would be like trying to build a fire without kindling—nothing would happen. We wondered if giving Ribose to people with CFS would jump-start their energy furnaces. The answer was a resounding yes! Our recently published study (see the study abstract in Appendix B) showed an average 44.7% increase in energy after only 3 weeks (improvement began at 12 days) and an average overall improvement in quality of life of 30%. Two thirds of the CFS/FMS patients felt they had improved.19 Usually a 10% improvement for a single nutrient is considered excellent. A 44.7% increase left us amazed, and I am now recommending Ribose for all of my CFS/FMS patients, for athletes, and any one with pain, fatigue or heart problems. Ribose recently became available (over the counter) to physicians, and is one of the few natural products actually starting with physicians and then moving out into health food stores. It is critical to use the proper dose for the first 3 weeks, which is 5 grams (5000 mg) three times a day. It can then be dropped to twice a day. I recommend the Corvalen form of ribose as it is the least expensive and highest quality and is packaged with a 5 gm dosing scoop in it. One 280 gm container will be enough to tell you if it will work. Corvalen M (which has ribose plus magnesium and malic acid) is also available, but if you are also taking the Energy Revitalization System vitamin powder (see chapter X), you are already getting the magnesium and malic acid, and the regular Corvalen is a better deal financially. Bioenergy, which makes Corvalen, also conducts almost all of the research on Ribose, knows the most about it, and has outstanding customer service in case you have any questions. Because of its importance, it’s worth looking at energy production and Ribose in greater detail. Having had the chance to explore the research and speak with a number of the researchers, below is what I’ve learned from them. D-Ribose (which is what I am referring to when I say ribose) is a simple, five-carbon sugar (known as a pentose by biochemists) that is found naturally in our bodies. But ribose is not like any other sugar. Sugars we are all familiar with, such as table sugar (sucrose), corn sugar (glucose), milk sugar (lactose), honey (predominantly fructose), and others are used by the body as fuel. These sugars are consumed and, with the help of the oxygen we breathe, are “burned” by the body to recycle energy. Because they are used excessively, they can also be toxic, as we’ve discussed earlier. Ribose, on the other hand, is special. When we consume ribose, the body recognizes that it is different from other sugars and preserves it for the vital work of actually making the energy molecule that powers our hearts, muscles, brains, and every other tissue in the body. 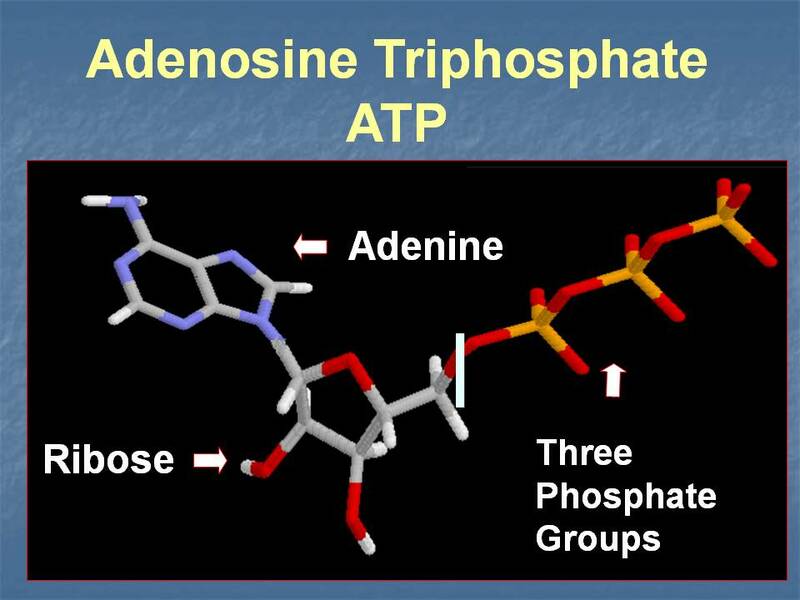 A key molecule, called adenosine triphosphate (or ATP for short), is known as the energy currency of the cell because the amount of ATP we have in our tissues determines whether we will be fatigued, or will have the energy we need to live vital, active lives. Ribose provides the key building block of ATP, and the presence of ribose in the cell stimulates the metabolic pathway our bodies use to actually make this vital compound. If the cell does not have enough ribose, it cannot make ATP. So, when cells and tissues become energy starved, the availability of ribose is critical to energy recovery. 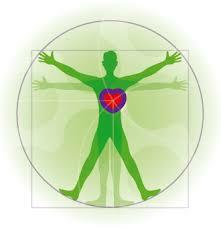 Normal, healthy heart and muscle tissue has the capacity to make all the ribose it needs. When normal tissue is stressed by overexertion, several days of rest will usually allow it to fully recover. The muscle may be sore during recovery, as we frequently see for the three or four days after a hard day of yard work or after a weekend pick up football game, but eventually energy levels will be restored and the soreness will disappear. But when the muscle is chronically stressed by disease or conditions that affect tissue energy metabolism, the cells and tissues simply cannot make enough ribose quickly enough to recover. Hearts and muscles just don’t have the metabolic machinery they need to make ribose very efficiently. The result is chronic, persistent pain, stiffness, soreness, and overwhelming fatigue that may never go away. Clinical and scientific research has repeatedly shown that giving ribose to energy deficient hearts and muscles stimulates energy recovery. One important study involved healthy athletes participating in high-intensity, endurance exercise over the course of one week. After exercise the energy level in the athlete’s muscle was reduced by almost 30%. Giving 10-grams of ribose per day for three days following exercise restored muscle energy levels to normal, while treatment with placebo provided virtually no effect.20 This study clearly showed that ribose stimulated the energy recovery pathways in the body, helping the muscle rebuild its energy supply quickly and completely. Even after three days of rest, muscle that was not treated with ribose remained energy starved and fatigued. 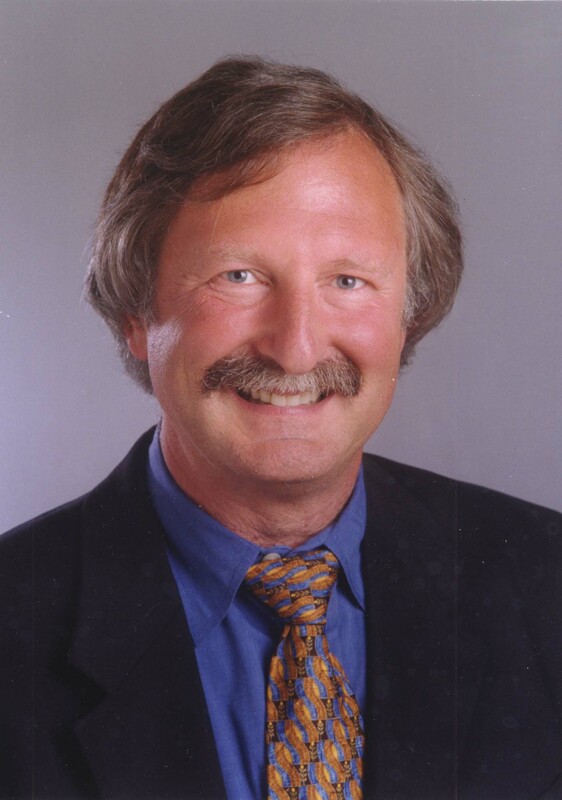 Research in Ribose and CFS/FMS began with a case study that was published in the prestigious journal Pharmacotherapy in 2004.23 This case study told the story of a veterinary surgeon diagnosed with fibromyalgia. For months, this dedicated doctor found herself becoming more and more fatigued, with pain becoming so profound she was finally unable to stand during surgery. As a result, she was forced to all but give up the practice she loved. Upon hearing that a clinical study on ribose in congestive heart failure was underway in the university where she worked, she asked if she could try the ribose to see if it might help her overcome the mind-numbing fatigue she experienced from her disease. After three weeks of ribose therapy she was back in the operating room, practicing normally with no muscle pain or stiffness, and without the fatigue that had kept her bedridden for many months. Being a doctor, she was skeptical, not believing that a simple sugar could have such a dramatic effect on her condition. Within two weeks of stopping the ribose therapy, however, she was out of the operating room and back in bed. So, to again test the theory, she began ribose therapy a second time. The result was similar to her first experience, and she was back doing surgery in days. After yet a third round of stopping (with the return of symptoms) and starting (with the reduction of symptoms) the ribose therapy, she was convinced, and has been on ribose therapy since that time. I found this report intriguing and decided to design the larger study in patients with fibromyalgia or chronic fatigue syndrome which I began to discuss earlier. Along with two research collaborators, I recently published a scientific paper describing the results of this research. The study we designed was intended to determine whether or not ribose would be effective in relieving the overwhelming fatigue, pain, soreness, and stiffness suffered by patients having this debilitating condition. Our study included 41 patients with a diagnosis of fibromyalgia or chronic fatigue syndrome who were given ribose at a dose of 5-grams three times per day for an average of three weeks. We found the ribose treatment led to significant improvement in energy levels, sleep patterns, mental clarity, pain intensity, and well being. Of the patients participating in the study, 65.7 % experienced significant improvement while on ribose, with an average increase in energy of 44.7% and overall well being of 30%- remarkable results from a single nutrient! 19 The only significant side effects were that 2 people felt too energized and hyper/anxious on the ribose. This is simply dealt with by lowering the dose and/or taking it with food. To further validate these findings, we are currently conducting a much larger placebo controlled study, and hope to have the results published in the coming year. Interestingly, one of our study patients had an abnormal heart rhythm called atrial fibrillation. Ribose is outstanding in the treatment of heart disease as well, because it restores energy production in the heart muscle. 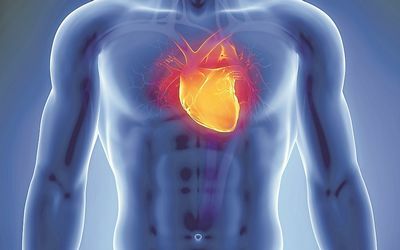 Because of this, it was not surprising that this man’s atrial fibrillation also went away on the ribose and he was able to stop his heart medications as well! Because of its importance and the research showing marked heart muscle dysfunction (because of low energy) in CFS, let’s look at Ribose and the heart in more detail. I just came across the above information this last week and was thinking about passing it on to The Restless Leg blog. Obviously someone is playing heads-up ball. But I’m afraid I don’t see the connection between increasing ATP and reducing inflammation. I take it there is one? If so, I’d definitely like to read more about it. I don’t know the specifics, but I think it’s just a matter of the anti-inflammatory effects being one of many properties of D-ribose. There’s no need to try and tie in the other benefits (I’m sure there’s a lengthy somewhere) of D-ribose. For RLS sufferers, the main concern is that it helps to lessen the inflammation that is causing your symptoms. I know this is an old post but this is worth sharing in case others read. As far as I understand it… inflammatory responses induce inducible Nitric Oxide Synthesas, the iNOS produces NO in excess that combines with superoxide to make the free radical Peroxynitrate (PRN), which is “particularly injurious” to mitochondria and ATP. Ok so here is a thought …it is said that inflammation is the cause of the rls and so if you get rid of the inflammation you get rid of the rls…(simplified version)…But the rls is usually only a problem during the night…so I am have been fasting for about the last 4 days…almost no food in my gut to cause any inflammation, yet I still get rls at night…the other thing related to this question is if rls was only related to inflammation, and you had inflammation going on in your gut, then it would seem you would rls symptoms all the time, I mean the inflamed condition pretty much stays the same all the time, day or night, so why does it only usually show up at night? Hi Gary I’m not sure if I ever replied to this? Please check my website http://www.rlcure.com It talks about the relationship of RLS and the energy moving through your body. Another key element is focus. Have you ever sat in a chair and throught “wow, my legs are really calm” and then 2 minutes later they started twitching away?